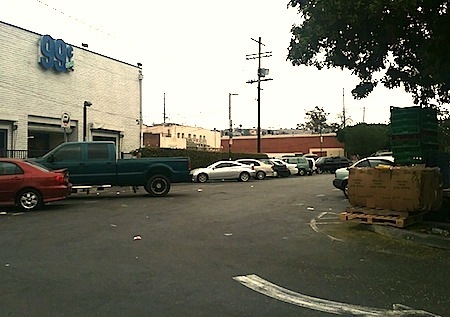 Parking spots are a valuable commodity in the City of Los Angeles. The threat of losing even a few parking spaces can lead to panic in densely populated neighborhoods where places to park a vehicle are in short supply. It’s an issue for businesses too, since many rely on publicly owned parking lots for their customers, not having parking lots of their own. 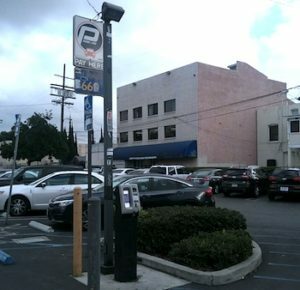 In the City of Los Angeles, elected officials have been actively identifying “under-utilized” city-owned properties – including parking lots – as potential sites for new affordable housing developments. It’s part of a plan to shore up the city’s critical housing shortage and to keep more people from falling in to homelessness. Last week, the City Council approved a plan to charge developers a new fee to build in the city. Council members say revenue from the new “linkage” fee will be used to build more housing units for low- to middle-income families. As city officials, housing advocates, developers and the business community debated the viability and impact the fee would have on development, local council offices and city planners were busy in the background cataloguing city-owned properties with the expressed purpose of adding to the city’s affordable housing stock. They are also looking for properties where housing for the homeless can be built. In Council Districts 1 and 14, some of the sites being vetted are vacant lots; others are public parking lots. Over the last two weeks the City Council has taken steps to formalize the public review process, approving motions by Councilmen Gil Cedillo (CD-1) and Jose Huizar (CD-14) for city-owned properties in Eagle Rock, Boyle Heights, near downtown L.A., in the Westlake area adjacent to MacArthur Park and in Lincoln Heights. Requests for Proposals for teams to lead the public review, property acquisition agreements, approval of development teams, and the transfer of a property in Boyle Heights to a nonprofit that will use the site to house 18-24-year-old homeless college students are some of the measures that have been approved. Huizar says he’s “thrilled” to be moving forward with “projects to better assist our homeless youth in Boyle Heights and provide much-needed affordable housing in the district.” He was referring to the transfer of a “triangle” shaped property on Pleasant Avenue in Boyle Heights to nonprofit Jovenes, Inc.
Two public parking lots in Boyle Heights – on 318 N. Breed St. and 249 N. Chicago St. – have been identified as potential affordable housing sites. A vacant lot at the intersection of Genevieve Avenue and Monte Bonito Drive in Eagle Rock is also being looked at. Because parking is such a premium in the city, the possibility of loosing any spaces can be controversial and has been known to stop or at least delay some developments. Plans build housing on public parking lots near the Metro Gold Line Station in Highland Park drew loud criticism from local residents and businesses not only concerned about the added density and traffic, but also access to city-owned parking lots. City planners and the development team for the project said one of the larger lots, off Avenue 58 between the Gold Line Station on Marmion Way and Figueroa Street, was under-utilized and often nearly empty. Developers, Cedillo, and his predecessor, former Councilman Ed Reyes, worked hard to convince stakeholders that the new developments would be required to include public parking provisions. As for the parking lots under review in Boyle Heights, Huizar assures that any public parking taken for housing developments will be replaced. Where, or in what manner, will not be clear until when and if a development design is approved. In Lincoln Heights, Cedillo’s office has targeted five city-owned parking lots for review. All five are near the neighborhood’s central commercial district along North Broadway: located behind or across from businesses such as CVS, the 99 Cents Only Store, WSS Shoes, and the Arroyo Vista Family Health Center, a community clinic whose patients are mostly low-income. The public parking lot off Avenue 24 provides parking for many of the clinic’s patients and on most days is filled to capacity. While a development team has been selected to build affordable housing on city-owned properties near MacArthur Park in Westlake, (619, 623, 627 and 629 Westlake Avenue), the Lincoln Heights locations are still in the very early review stage, Fredy Cejas, Cedillo’s communication director told EGP in an email. He said a motion passed earlier this month by the City Council “only authorizes the City to enter into an Exclusive Negotiation Agreement with a selected team to begin a process of planning to identify alternative development schemes. se of the Motion is to start the conversation with the community about proposed housing on City parking lots,” Cejas said. While “no actual decision” on whether to build has been made, Cejas emphasized a decision has been made to explore how the lots can be developed with housing and what type of project may be feasible. The news caught some Lincoln Heights businesses by surprise. Arroyo Vista’s Irene Holguin said they could not comment because they did not know anything about the proposal, which came to public light in a recent Facebook posting and Cedillo’s newsletter. “But if there is a way to create housing without eliminating parking for local businesses, I am for that,” he said, adding he wants to learn more. If new housing is built, Kasten said he hopes tenants will have incomes high enough to allow them to support local businesses. It’s very important for the community to have input throughout the development process, Kasten told EGP. In some neighborhoods, that has meant building multi-story complexes with underground or roof top parking. “The community will have a voice and be involved in the planning for the reuse of these lots as specified in the Motion,” Cejas said, adding that no parking would be lost because the city would require parking spaces to be replaced on a one-to-one basis. 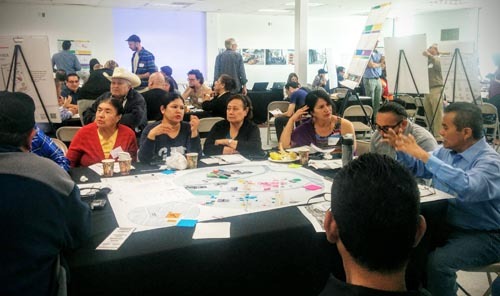 According to Cejas, Cedillo will require development team selected to engage in a robust community participation process to solicit input from the district’s diverse stakeholders. Megan G. Razzetti contributed to this story. The Los Angeles City Council Wednesday unanimously approved the creation of an affordable housing linkage fee — one of the most hotly debated proposals to come through City Hall in recent times. 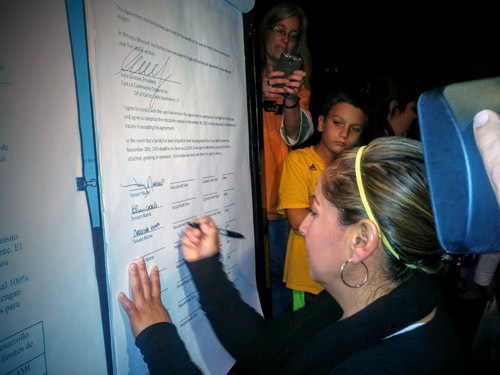 Mayor Eric Garcetti, who championed such an ordinance two years ago, immediately signed the ordinance following the City Council’s approval. Although some council members and key business leaders expressed hesitation while the proposal was dissected at four Planning Committee meetings, the council ultimately came together in unison to approve the fee as a way to help fight the housing crisis and rising rents in the city. Under the ordinance, commercial and residential developers will have to pay a fee for every square foot of new construction, generating an estimated $100 million per year to be used to provide affordable housing units. Skeptics fretted that the fee could discourage development overall or that poor tenants would suffer as landlords passed the cost of the fee onto them. The L.A. Chamber acknowledged the city has a “housing supply crisis at all levels,” but said solutions that increase housing overall is what’s needed. 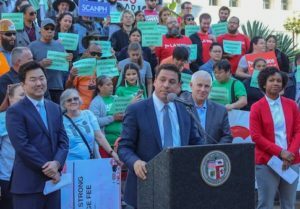 Huizar said before the vote that the fee is lower than what some studies had shown developers could absorb, which helped reduce the level of opposition in the business community. “We could have charged more in this fee, but we chose not to, and we did that purposefully so that we have a large buffer there that will not discourage any development,” he said. Council members Mike Bonin and David Ryu introduced an amendment to the motion that directs city staff to present an analysis within 60 days of the market impacts of increasing the residential fee in high market areas to $18. The amendment was seconded by Councilman Paul Koretz. The three council members represent some of the pricier neighborhoods in L.A., including Bel-Air, Brentwood, Toluca Lake and the Hollywood Hills, indicating that there likely will not be opposition on the council to the increased fee because the trio collectively represents most of the high-market areas. Huizar said he was supportive of looking at raising the high market fee. “This is bringing it up a little bit more in those high demand areas, where they could probably absorb more of a fee than other areas,” he said. Huizar pointed out that the city’s affordable housing trust fund contained around $100 million in 2010, but has nearly dried up as state and federal contributions plummeted. The ordinance does include some exemptions for the fee, including for schools, grocery stores, hospitals and developments that include a certain level of affordable units, including where at least 40 percent of the total units are for affordable to moderate-income households making between 80 percent and 120 percent of the area median income. There are also exemptions where at least 20 percent of the total units or guest rooms are dedicated for low income households, at least 11 percent is for very low income households, or at least 8 percent are for extremely low income households. The Planning Committee considered for a time exempting nonprofits but ultimately decided against the move out of concern that developers would abuse the option. Councilman Gil Cedillo over the summer suggested he wasn’t necessarily against the fee, but cast some doubt on how effective it could be. But last week, Cedillo waived consideration of the linkage fee from his Housing Committee, which cleared the path for it to be voted on before the end of the year. The council also approved a motion by Cedillo that looks to amend the ordinance by creating a linkage fee exemption for middle-income households making between 120 percent and 150 percent of the AMI. The proposed amendment, however, must still be vetted through the City Council review process before it can be finalized, which will likely begin in January and take two months to complete, Cedillo’s Communications Director, Fredy Cejas, told EGP Wednesday. The L.A. Chamber has expressed support for Cedillo’s motion, saying in an editorial Tuesday that it “could lessen the detrimental impact of a linkage fee on middle-income housing. “This exemption would incentivize the construction of housing designed for middle-income Angelenos who are finding our city more and more unaffordable as a place to live and raise families,” Toebben said. “Without this exemption, the linkage fee would add $12,000 to $24,000 per unit to the cost of building middle-class housing. Garcetti set a goal in 2014 of constructing more than 100,000 units in Los Angeles by 2021 as a way to combat a housing shortage that has contributed to rising rents and an increase in homelessness in the city. Jovenes Inc., a nonprofit that serves homeless youth, will build units designed to serve homeless students engaged in post-secondary studies on a city-owned property on East Fourth Street in Boyle Heights, Los Angeles Councilman Jose Huizar has announced. The site is one of several city-owned property in the neighborhood east of downtown the city is looking to develop as affordable housing. “Jovenes, Inc. is one of our premiere homeless service partners in Boyle Heights serving one of the most vulnerable populations imaginable – our youth,” Huizar said. traditional developments. The property has sat vacant for years. “We must create stable housing opportunities that gives homeless students and youth an opportunity to create a new vision for themselves and leave homelessness behind,” said Jovenes’ executive director, Andrea Marchetti. Huizar also said he wants to see Jovenes expand its services near its main site on 1304 E. Pleasant Ave. in Boyle Heights and has introduced a council motion directing city staff to use the so-called Aliso Triangle property nearby to help the organization grow its campus. 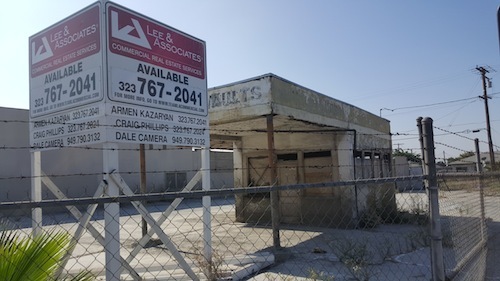 The city owns the Aliso site, which is surrounded by Jovenes’ headquarters and properties owned by the nonprofit, and Huizar said he wants Jovenes to secure it so it can expand its services. Tagged: affordable housing, Councilman Jose Huizar, homeless youth, Jovenes Inc.
County supervisors went on record Tuesday in favor of a City of Los Angeles bond measure that would generate $1.2 billion to fund the construction of affordable housing, including permanent supportive housing for the chronically homeless. The Board of Supervisors’ vote in support of Proposition H was 3-0, with Michael Antonovich and Don Knabe abstaining. Garcetti pointed to the success of concentrated efforts by county and city leaders to house homeless veterans. The Los Angeles Homeless Services Authority’s 2016 count found that while homelessness had increased nearly 6 percent overall since 2015, the number of veterans living on the street was down 44 percent countywide. The mayor had initially set a 2015 deadline for finding homes for all homeless vets and said today that the city was 1,200 to 1,500 units away from “declaring victory,” a milestone he thought would be hit next year. However, more non-veterans are living in tents on the street, under freeway overpasses and on hillsides. From “every corner of this city, you can see homeless people,” Garcetti told the supervisors. City and county leaders have both been working to raise funds to combat homelessness, with Ridley-Thomas leading a push for Gov. Jerry Brown to declare a state of emergency related to the issue. Brown has said such a declaration would be inappropriate, though the Legislature has approved $2 billion for the construction of permanent supportive housing statewide. LAHSA has estimated that 15,000 supportive units are needed to house the “unsheltered homeless,” while the California Housing Partnership calculates a 500,000-unit deficit in affordable housing countywide. Los Angeles City Councilman Marqueece Harris-Dawson said Prop. H would create a “qualitative shift” in homelessness and triple the city’s capacity to build new units. Ridley-Thomas said construction was just part of the story. “Units without services is a half loaf at best,” he said. The county’s chief executive officer and LAHSA estimate that another $450 million will be needed annually to pay for homeless supportive service like mental health care and substance abuse programs. The board has considered a number of solutions, including a millionaire’s tax, a quarter-cent sales tax and a tax on marijuana, but could not agree on an alternative to put before voters this November. The Homelessness Reduction and Prevention, Housing and Facilities General Obligation Bond Proposition requires the support of two-thirds of voters to pass. The Los Angeles City Council agreed Tuesday to spend at least $200 million over the next 10 years to rehabilitate or build affordable housing units that are accessible to the disabled as part of the settlement deal of a 2012 lawsuit. The settlement resolves the city’s role in a suit filed by three disability and fair housing advocacy groups that alleged the city and its now-defunct redevelopment agency failed to ensure that affordable apartment projects that received federal funds were accessible to the disabled. The lawsuit was filed on behalf of the Independent Living Center of Southern California, the Fair Housing Council of San Fernando Valley and Communities Actively Living Independent and Free. The lawsuit came a month after the U.S. Attorney’s Office informed city officials it was investigating whether projects that received federal funding through the redevelopment agency followed laws protecting people who are disabled. The city stood to lose out on grants or would face fines if violations were discovered. Under the settlement, which was approved Tuesday on a 12-0 vote, the city will be required to spend an average of $20 million annually during a 10-year period, and add 4,000 new or retrofitted accessible, affordable units. The city has also agreed to pay at most $20 million in attorneys’ fees, with the exact amount still to be determined. The agreement also requires that the city pay $4.5 million in damages to plaintiffs and up to $1 million for miscellaneous court costs. Other terms include creating a monitoring and inspections process that adheres to disability accessibility regulations; making a list of accessible apartment units in the city available online; and training property owners on their responsibilities to make their units accessible. “We think this is an extremely significant settlement,” said Autumn Elliott, a Disability Rights California attorney who represents the three advocacy groups. Elliott said the affordable and market-rate units they checked had doorways and kitchens that could not accommodate wheelchairs. The units also lacked grab bars in the bathrooms and there were no countertops set to an appropriate height, she said. The federal funds are primarily provided to housing projects as a way to encourage more affordable housing, Elliott said, and she believes city and redevelopment agency officials might not have realized “how crucial they (the affordable units) are for people with disabilities,” particularly low-income people with disabilities. Or else, they may have felt “somebody else was taking care of it,” she said. Michael Allen, another attorney who represents the advocacy groups, said the settlement covers about 47,000 total units spread out over 700 housing developments, which includes some that were built as far back as 1988. Allen said the 4,000 units figure reached under the settlement represents at least the full percentage of units the city was required to make accessible to people with disabilities on the existing apartment complexes. These units included not only those that were originally the responsibility of the redevelopment agency — which were the subject of the lawsuit — but a significant number of additional units that were directly overseen by the city, Allen said. “To its credit, when the city realized the issue of accessibility may be a concern in the entire portfolio, not just in the community redevelopment agency part, the city voluntarily chose to resolve the case on all of its affordable housing portfolio,” Allen said. Housing developments that receive federal money are required to make 5 percent of their units accessible to people with mobility disabilities, and another 2 percent accessible to people who are blind or deaf, he said. Allen said the settlement will set a good example to other cities. “This is the largest accessibility settlement ever reached involving affordable housing, and it will send a strong, positive message to cities all over the country that their housing programs must be accessible,” Allen said. Attorneys for the groups said the litigation against the redevelopment agency itself will continue. Allen said they hope to ensure that accessibility issues in at least 22 additional housing developments that is still under the agency’s control are addressed. The settlement approved by the council becomes effective once city officials have signed it, after which the city will need to work out a process for how many units will be retrofitted and newly built. Cielo Castro, a spokeswoman for City Administrative Officer Miguel Santana, said the “upfront costs” of the settlement will be covered by funding from the city’s reserves, which the city sets aside for emergencies. “The $200 million settlement will be budgeted on an ongoing basis through the regular budget process,” Castro said. The city of Los Angeles officially put out a call Monday for developers to submit plans for building homeless housing at eight city-owned properties. City leaders are looking to build more housing for the homeless as part of a larger plan to fight homelessness in Los Angeles, where about 27,000 are thought to be living on the streets. City officials are asking affordable housing developers to submit proposals for what they believe can be done with the eight properties, with the hope that the parcels can either be developed into housing or sold off to raise money for housing projects elsewhere. The developers would be placed on a list of pre-qualified firms for the proposed projects. City leaders have adopted a $138 million plan to address homelessness in the upcoming year, and have also placed a $1.2 billion parcel tax measure on the November ballot aimed at raising a sustained source of funds for homeless housing projects. The city’s housing department is also moving forward with its own slate of affordable and homeless housing projects at 13 other city-owned cites, according to the mayor’s office. Calling it a victory in the fight against displacement and gentrification, Carolina Vivara and her family Tuesday night celebrated an agreement that guarantees them and their neighbors the right to live in a new 50-unit affordable housing complex being built on the site of their former homes in Boyle Heights. In August, families residing in 5 buildings on the 2400 block of East First Street were notified they would have to vacate their homes by Nov. 30 to make room for Cielito Lindo Phase 1, a 50-unit affordable housing complex being built by nonprofit housing developer East Los Angeles Community Corp, ELACC. Months of negotiations between the tenants and ELACC resulted in the agreement that will give seventeen households, representing approximately 50 residents, the “Right of First Refusal” on leases for the first phase of the new housing complex scheduled to open in 2017. By law, all the displaced residents are entitled to a minimum of $19,000 in relocation money, which tenants will not have to return even if they decide to lease a unit in the new facility. It’s a big relief, said Vivara, who has lived in the same apartment for 17 years. She told EGP she was afraid she would lose her home and not be able to afford a new place. “Rent is extremely expensive,” she noted. Tenants received support from Union de Vecinos, a nonprofit network of Boyle Heights committees fighting against gentrification and displacement since 1996. Union de Vecinos helped tenants negotiate the terms of the deal allowing them to return when construction is completed. Initially, renters were told by ELACC that they could only return if they met the development’s strict income eligibility requirements and passed credit and background checks. For Vivara, that led to worries that her husband, the family’s sole provider, would not meet the minimum $24,000 income requirement for a family of four, and they would not be able to afford rent in another location. “I currently pay $900 with utilities included for the two-bedroom apartment,” she told EGP in Spanish. “In other buildings the same apartment is $1,400 plus utilities, ” the mother of two said. Terry Navarro has lived in Boyle Heights since the 1970s and in one of the buildings being demolished for the past eight years. She told EGP she attended the meeting where ELACC informed them about the situation and gave them a verbal offer to return. “The problem is that we didn’t know for sure if we were coming back and that’s why we requested [the offer] be in writing,” she told EGP. Sometimes verbal offers don’t count, she said. As part of the agreement, the tenants will not have to meet the minimum income requirements, Isela Gracian, ELACC president told EGP. Also, applicants will have their credit reviewed, however, credit scores or debt will not be used to determine eligibility as long as applicants’ prior rental accounts are in good standing and they do not have a default eviction. So far, 16 of the 17 households have received relocation benefits, according to Gracian. “One was able to purchase his first home with the relocation benefits,” she said. The majority of tenants have found a new place to live for the next 18 months or so. 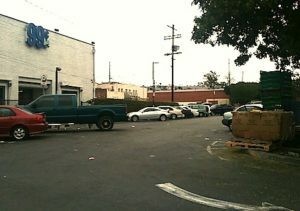 East La Community Corp. staff is helping the others locate a place to move. Elizabeth Blaney, co-director of Union de Vecinos told the tenants they hope the Right of First Refusal agreement is one that will be adopted by other developers building projects that could displace long-time residents of Boyle Heights and nearby areas. The new housing complex will have 49 affordable units of one, two and three bedrooms and one manager unit, parking for 62 cars, 61 bicycles, a roof-top garden, community space among other amenities, according to ELACC. Construction is set to begin in late January 2016.